And then there was one. After a tempest of March performing arts events, all have since closed leaving a very quiet weekend of theater — or more accurately, a calm before the next storm of April plays and events. 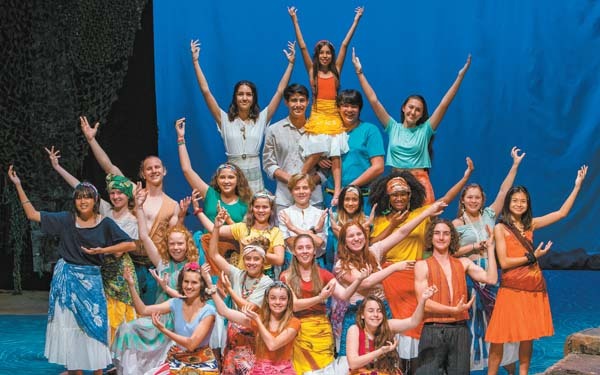 Next weekend, Maui OnStage Youth Theater will present “Once On This Island JR.” as its annual teen production at the Historic Iao Theater in Wailuku. 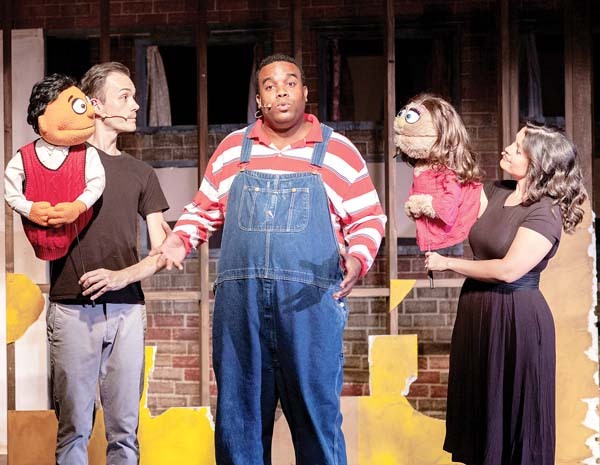 The 2018 Tony Award-winning revival of “Island” has brought newfound popularity to the one-act 1990s musical, which was based on the 1985 novel “My Love, My Love” by Rosa Guy. Though sometimes described as an adaptation of “The Little Mermaid” and “Romeo and Juliet,” the original novel tells the story of a peasant girl from the French Antilles who defies the traditional plantation order of class and race with the power of love to unite the people of her island. “Island” begins one stormy night as a small girl is distraught with fear. To comfort her, village storytellers share the story of Ti Moune (Jaimie Tirona). Not unlike Hawaii’s tradition of storytelling, Ti Moune’s tale revolves around four ancient deities — Asaka (Rylynn Guthrie), the mother of the Earth; Agwe (Dakota Welch), the god of water; Erzulie (Sophia Gallegos), the goddess of love; and Papa Ge (Ian Smith), a demon of death. The peasant villagers live on one side of the island, and the “grands hommes,” descendants of the original French planters, live on the other. One day, Agwe unleashes a terrible storm upon the island causing a deadly flood. But the gods watch over Ti Moune, saving her in a tree above the rising waters. Years afterward, a now grown Ti Moune prays to the gods to know her purpose, and to let her be like the “grands hommes.” The gods intervene again when Daniel Beauxhomme (Michael Enovijas) crashes his car during another storm. Ti Moune nurses him and falls in love. When Papa Ge comes to take Daniel’s life, she offers hers in exchange. Angry but appeased, Papa Ge vows to return as her life now belongs to him. “It is one of my favorites, and it’s nice to be placed with a show that inspires you. It’s also one of the best shows for a choreographer to direct, because the stories are told through song and dance,” she shared. “It has been a huge undertaking for the teens vocally. Kim Vetterli (music director) has done an amazing job. There are many challenging parts, and the kids are rising to all the music and dance challenges. They’re ready to perform, and I think a lot of people will be surprised that this is a teen cast,” added Padon. We chatted about the similarities between Hawaiian and Caribbean legends. “I think multi-gods were so present in cultural storytelling to better convey each story. It helps with understanding the meaning of a story and all of the aspects of life — be they love or war. Gods of fire, water and the sun are a part of our Hawaiian history,” expressed Padon. “Island” concludes with the song “Why We Tell the Story” and Padon explained the moral and heart of this show. “Since antiquity, we’ve learned from the past through oral storytelling. It keeps the past alive. It is important that we share these stories generation after generation as a guide to understanding the complexities and the pureness of the human heart. “This particular story could be perceived as sad, but Ti Moune’s story is actually a happy one. She brings two worlds together, she crosses over the line that separates classes and she conquers death. Cabaret & Cocktails presents “The Best of Burlesque.” This one-night-only celebration of burlesque, with past favorite Cabaret & Cocktails dance numbers, comedy and songs, stars Miss F-Bomb, Bourbon Layne, Lili O Lei, Sadie Vine, host Madame Munchausen and many more. 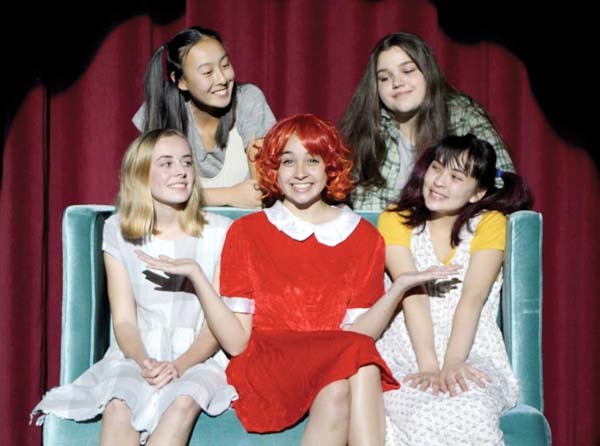 • Performance is at 8 p.m. Saturday at the ProArts Playhouse in Azeka Shopping Center Makai in Kihei. General admission tickets are $20 in advance and $25 at the door or are available online at www.bestofburlesque.eventbrite.com. “The Best of Burlesque” is a 21 and over event. 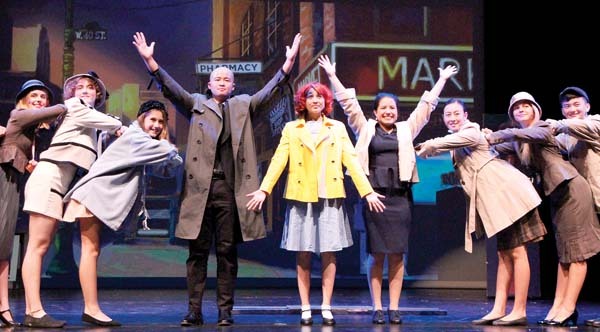 King Kekaulike High School presents “Annie,” music by Charles Strouse, lyrics by Martin Charnin, book by Thomas Meehan and directed by Chris Kepler. Determined to find the parents who abandoned her years ago at a New York City orphanage run by the cruel Miss Hannigan, Annie escapes and finds a new home and family with billionaire Oliver Warbucks, his secretary Grace Farrell and a lovable dog named Sandy. 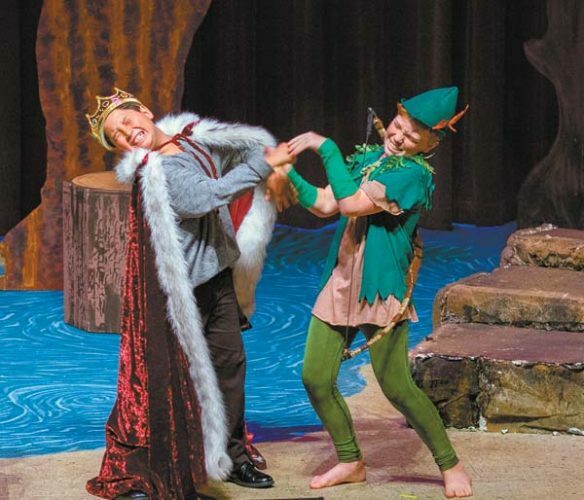 • Performances are at 7 p.m. Fridays and Saturdays, April 5 through 13, and 3 p.m. Sunday, April 14 at the King Kekaulike Performing Arts Center on the King Kekaulike High School campus in Pukalani. Tickets are $10 for adults, $8 for students and are available at the box office 30 minutes before show time. For more information, visit www.kingke kaulike.com. Maui OnStage’s ONO! (One Night Only) series returns at 6:30 p.m. Monday, April 8 at the Historic Iao Theater with an evening of performances by the Wailuku Performing Arts Alliance members including Maui Pops Orchestra, Maui Choral Arts Association, Maui Chamber Orchestra, Maui Academy of Performing Arts and Maui OnStage. The free ONO! events happen the second Monday of every month. For more information, visit www.mauionstage.com. 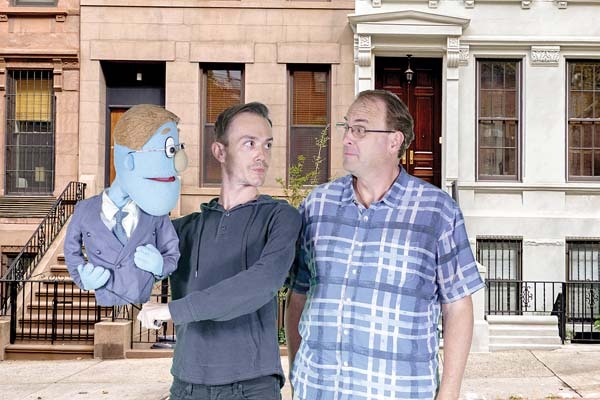 Tickets remain for Maui OnStage’s ninth annual “Sneak Peek: 4900 Miles Off-Broadway,” from 5 to 9 p.m. Saturday, April 13 in the Waikapu Ballroom at the King Kamehameha Golf Course in Waikapu. 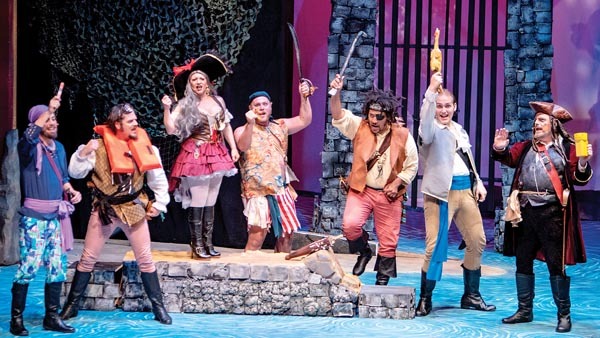 This evening offers behind-the-curtain peeks of the five productions planned for the 2019-20 Maui OnStage theater season. Local entertainers scheduled to appear at this year’s event are Dale Button, Jefferson Davis, Lia De Souza, John Galvan, Sara Jelley, Carlyn Leal, Lin McEwan, Rick Scheideman, Francis Taua, Hana Valle, Stephen Webb and many more. This all-inclusive event includes cocktails and a silent auction at 5 p.m., buffet dinner, performances and a live auction from 6 to 7:30 p.m., followed by a dessert bar and live after-party music by Laura Cole and Sal Godinez. • Tickets are $150 or $1,350 for a table of 10. This is a 21 and older event. For more information or to purchase tickets, call 242-6969 or order online at www.mauionstage.com.